Divisions – We will break practices out by Age Group. Each age group will have divisions based on ability/experience. We are expecting a lot of first time players this year and want to make sure everyone is being challenged. By grouping players together in ability based divisions our coaching staff is able to provide ability specific training and accelerate the overall learning curve. Tournaments – Tournaments are not required, but are a great way to demonstrate and apply the skills we practice in a match setting. The competitive environment in a tournament is a great learning experience in itself and we will offer coaching support at many tournaments this season. 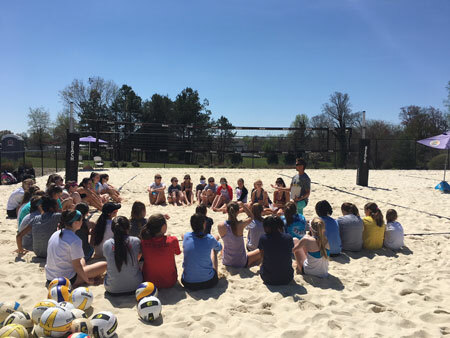 Strength and Conditioning – There is no better way to get in shape and gain quickness than to train in the sand. 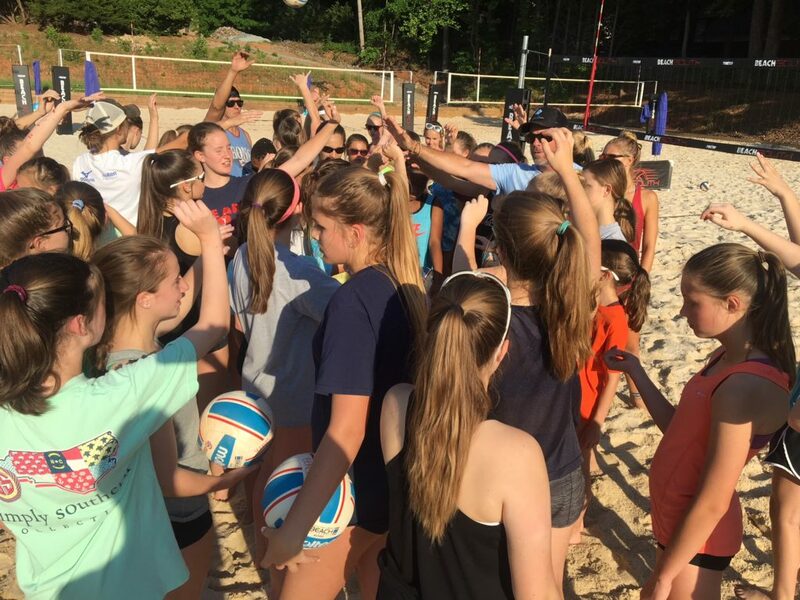 All practices will include specific cardio and sand plyo training either at the beginning or end of practice. Our strength and conditioning program, if performed correctly and consistently, will provide increased quickness, stamina, strength, and vertical leap ability. Structure – Our full program will run from April through June and give the most complete training experience. To offer greater flexibility we have divided the full program into three monthly sessions. Players can register for one, two, or three sessions depending on their own needs. Fees – Our fees include court rental, equipment, a club membership package, and coaching salaries/expenses. They are as follows: one month membership – $200; two month membership – $350; three month membership – $450. 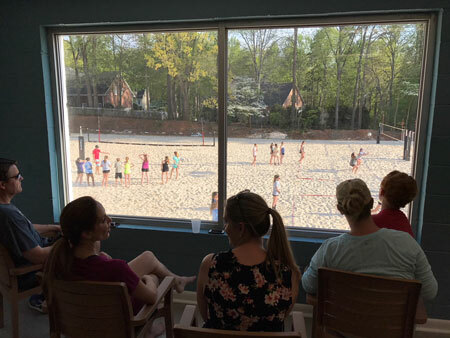 Club Membership Packages – Every registered player will receive a club membership package that includes a Beach South tee-shirt, Beach South Tournament jersey, Beach South water bottle, and Beach South sticker. 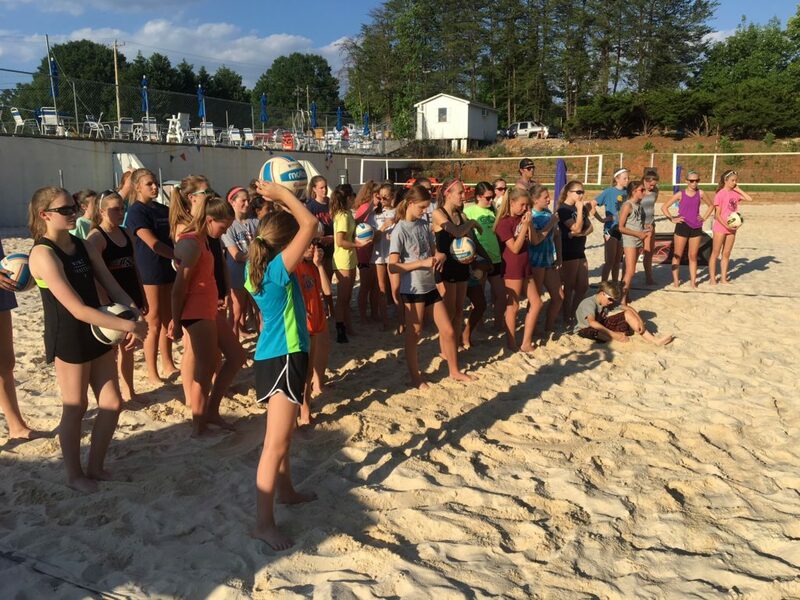 Practice Times and Location – Beach Development practice times will depend on the location. Please check your specific location’s time under the “Locations” tabs or click here for our two Triad locations, our Lynchburg,Virginia location and Charlotte location. Requirements – A willingness and desire to learn the beach game and the ability to have fun doing so. This is not your picnic volleyball program. We will focus primarily on a skill set one day and spend more time playing on the other day. Playing Partner – You DO NOT need to have a playing partner to join our program. Playing with different people is part of learning the game. Our practices will give you plenty of experience pairing up with someone you may not know well, and if you don’t have a partner come tournament time we can offer suggestions to help you. With practices now available at all locations.